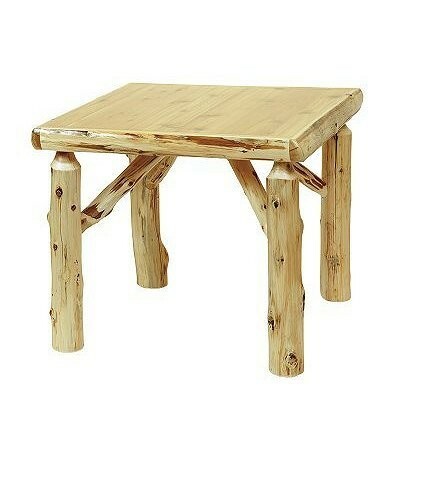 Accent your cabin, lodge or rustic home with this rustic Cedar Log Square Game Table. The table top has a standard finish. It is individually hand crafted and made of hand peeled white cedar logs giving it a natural log look. 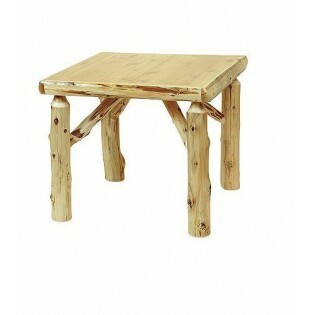 Accent your cabin, lodge or rustic home with this rustic Cedar Log Square Table. The table top has a standard finish. It is individually hand crafted and made of hand peeled white cedar logs giving it a natural log look.